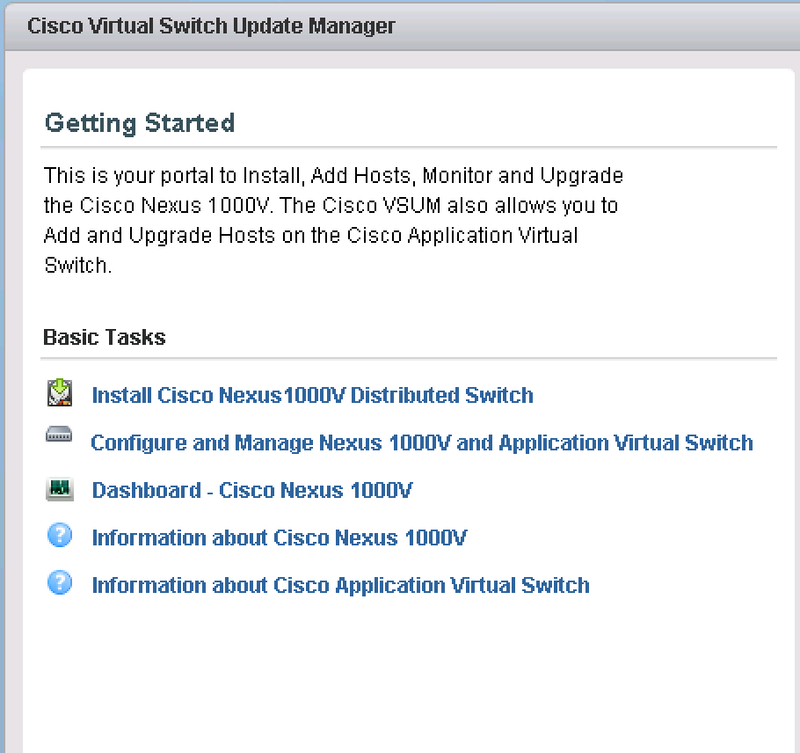 Cisco releases Nexus 1000v 3.1 with an Update Manager! 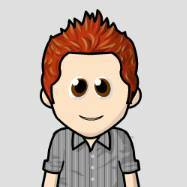 Cisco has released version 3.1 of its virtualised switch (available for download here). It comes with increased scalability and resiliency, but one very cool thing stood out for me: the Virtual Switch Update Manager or VSUM. Increased Scalability (Advanced Edition) – More than doubles the scale from the previous release. The virtual switch now supports 250 hosts/servers per switch with 10,000 ports per switch. In addition it supports 4094 active VLANs and 16 million VXLAN (6144 active VXLANs) per switch across 6144 port profiles. Increased Resiliency – Supports headless Port bring up where Virtual Machines can be bought up on the host even if VEM is offline i.e. the VSM is not reachable by VEM. Both VSM headful and headless VM vMotion is supported. Cisco TrustSec 2.0 (Advanced Edition) – Continues to extended Cisco TrustSec solutions for network based segmentation of users and physical workloads, leveraging Security Group Tags (SGT) for defining security segments and SGACL support (Enforcement) and Native(in-line) SGT tagging. Storm Control — Prevent network disruptions from a broadcast, multicast, or unknown-unicast traffic storm. Simplified Deployment, upgrade and visibility with Cisco VSUM – Cisco VSUM is a FREE virtual appliance that enables Server and Network administrators to Deploy, Upgrade and Monitor Nexus1000V and to Deploy and Upgrade Cisco AVS from within their vCenter web interface. As I mentioned, the VSUM popped out at me on this release. The reason is simple; upgrading the Nexus 1000v on an existing deployment can cause some serious headaches. There have been compatibility problems between versions, causing hosts to fall off the network (and taking all its VMs with it). In the past, I’ve even advised to deploy a new Nexus 1000v next to the current version and migrate hosts and virtual machines to that new version and decommission the old version. It seems as these problems may be history now with this new Virtual Switch Update Manager, as I would expect Cisco will build in automatic upgrade instructions inside the processes, as it did with the UCS auto updater and as VMware did with VMware Update Manager. The VSUM also has the ability to install the Virtual Supervisor Module (VSM) and Virtual Ethernet Modules (VEM) on hosts for you, so it will make greenfield deployments way easier as well.